This multimedia installation builds a case for a new sort of empire that has survived all others. It is the ‘empire of image’ that we know today as a mechanical, industrial, social, and even autonomic phenomenon. It has mutated from mosaic walls to paintings and then from prints to digital screens. Arguably, the confluence of mobile social media and networks has irreversibly changed the ontology of image as it led us through the gates of a new realm. Images are no longer just pictorial, they coalesce into an environment, an ecology, and even an atmosphere. They can appear like passing snowflakes or like memes of tsunamic proportions. Image has both imploded and exploded. Overwhelmingly abundant, image is less valuable than ever before, but image has nonetheless supplanted the power of traditional language systems and is changing culture in profound ways. This occurrence evokes the rise of Rome and its impact on the West. In the lineage of Greece, Rome carried the image of civilization to build and grow an empire, and like Greece it eventually fell into glorious ruins. The image of a civilization that is imperial, cosmic and divine is what remained. Where walls, gates, and icons have fallen, virtual ones have risen. 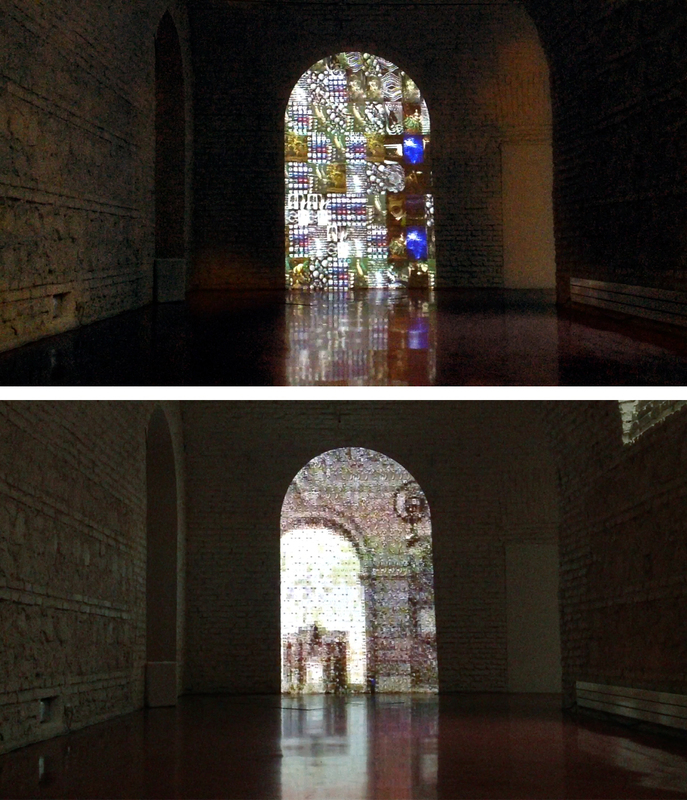 Gates open, close, and frame cities while images appear and fade on walls and screens. We abandon cities and forget images when they stand against our ideas, but ultimately images reappear to reflect everything that has been made: people, temples, gods, palaces, jails, and megalopolis. We have never made, owned, edited, published, appeared in, and shared so many images in so many static, moving, luminous or fleeting forms. They multiply, disseminate, migrate, besiege, sprawl, invade and occupy. Images are blending into all things. Above all, they seek semantic affinities, hence blending into each other to form image swarms. They even coalesce to reveal new gates. The house was there, but I designed the landscape. It is through image that we find our place in the world. The photographic image…is a message without a code.